The new ZR1 joins a long list of iconic Corvettes! Chevrolet just introduced the latest Corvette ZR1, setting a new benchmark for the iconic sports car. Not only the quickest and most powerful Corvette ever built, the new ZR1 is also the most aerodynamic iteration of the car and comes with features usually found on high-end supercars. It definitely eclipses every road-legal Corvette built to date in terms of performance. It also wins battles with every classic Vette I can think of, but it’s not the only Corvette that made a massive impact upon arrival. It’s rather difficult to talk about Corvettes from the past with a car as incredible as the new ZR1 on its way to showrooms, but I compiled a list of iconic models that deserve to share the same celebrity page with this supercharged monster. I’ve made my picks based on a few factors. For starters, I wanted to include at least one model from each generation, so this list goes back to the original C1. 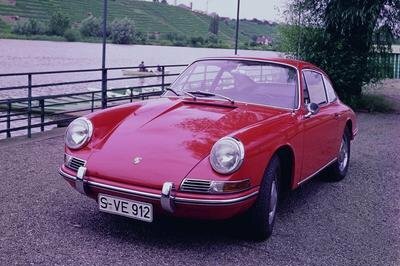 I also took horsepower and performance in consideration, as well as market impact and production figures, favoring limited-edition models that evolved into prized collectibles. I also included a concept, an experimental racing project that barely made it out of the factory, as well as an aftermarket upgrade, just to add an extra bit of flavor to the selection. Check it out below. The first-generation Corvette is now regarded as one of the most iconic classic cars out there, but the truth is that the C1 was very close to be discontinued after only a couple of years on the market. Which would have put an end to the Corvette nameplate and all the great cars that followed. 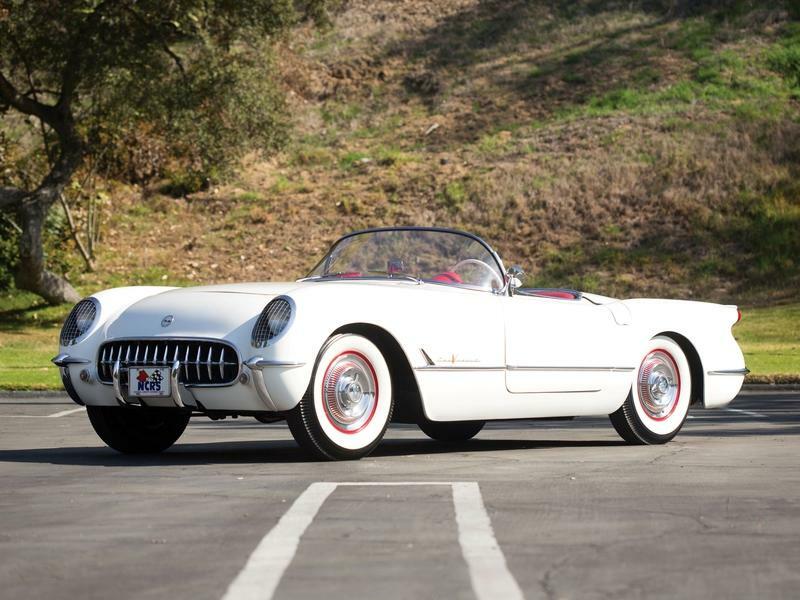 Launched with an inline six engine that wasn’t particularly exciting, the first Corvette was also plagued with water leaks, doors that wouldn’t stay shut, and shoddy quality of the otherwise innovative fiberglass body. These issues and the negative customer reaction caused sales to plummet, with only 2,500 units sold in 1954. Things didn’t look good for the Corvette, and Chevy was already thinking about pulling the plug. But things changed dramatically in 1955. While not yet part of the Corvette project, Zora Arkus-Duntov insisted that the brand’s new 4.3-liter, small-block V-8 was added to the car. The 195-horsepower unit not only improved the Corvette’s marketing and image but also enabled it to compete with the then-new Ford Thunderbird. The 0 to 60 sprint dropped from 11 seconds to a more impressive 8.5 seconds with the V-8, while the three-speed manual transmission turned into a true driver’s car. As a result, Duntov was also named the director of high-performance vehicle design and development for Chevrolet in 1956. Just like the 1955 V8, the Corvette Grand Sport was also the work of Zora Duntov. However, this project was entirely different, as the Grand Sport was conceived as a full-fledged race car. Chevrolet was no longer involved in motorsport in the early 1960s, and Duntov was converned about Ford and its tremendous Shelby Cobra, which was already hitting the race track with good results. Zora initiated a program to produce a lightweight version of the second-gen Corvette, set to go on sale for the 1963 model year, and planned to build 125 units to allow the car to be homologated for grand touring racing. The program was kept secret, mostly because GM executives didn’t want Chevy involved in motorsport. But they found out soon enough and stopped the project after Duntov built only five cars. Fortunately, they weren’t destroyed, and went on to compete and even win a few improtant races. Powered by V-8 engines rated at up to 550 horsepower, the Grand Sport was driven by famed race car drivers such as Roger Penske, A.J. Foyt, and Jim Hall. Due to its interesting story and limited production run, the Grand Sport is among the most coveted and valuable Corvettes ever built. Like the Grand Sport, the Mako Shark isn’t a production car. Designed in 1961 by Larry Shinoda and Bill Mitchell, the Mako Shark was the concept car that previewed the second-generation Corvette. As the name suggests, it was partly inspired by the shortfin mako shark, the fastest-swimming shark in the world, capable of bursts of speed of up to 42 mph. A tremendous success on the auto show circuit, the Marko Shark, was sleek, had side-exit exhaust pipes, and its paint scheme matched that of an actual shark with the blue-gray upper surface gently blending into the white underside. 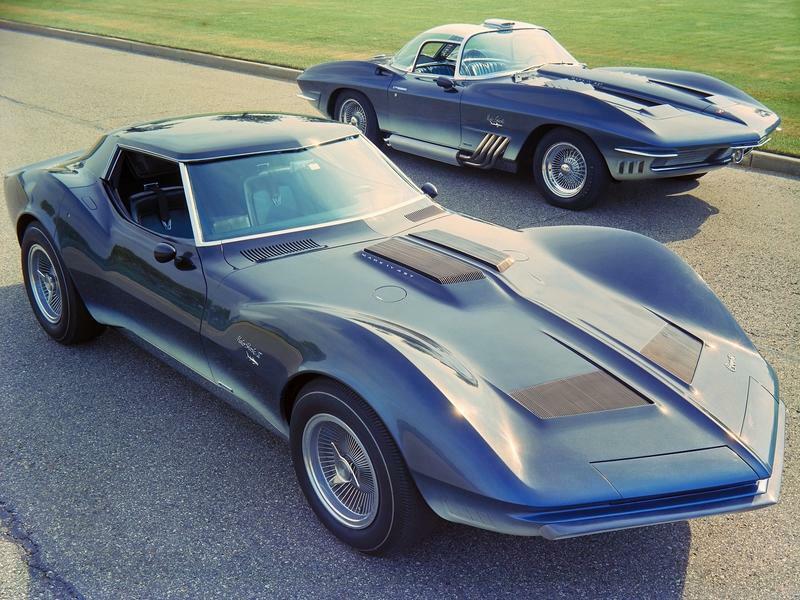 The C2-generation Corvette that followed in 1963, also known as the Sting Ray, borrowed several design cues from the Mako Shark, including the muscular fenders, the windscreen, and the pointy front fascia. The concept was redesigned in 1965 into the Mako Shark II, which eventually went on to inspire the third-generation Corvette, launched in 1968. Significantly more aggressive than its predecessor design-wise, the C2-gen Corvette also spawned higher performance versions. The L88 was the C2 to end all C2s and arrived in the generation’s final year on the market, 1967. The badge came from the engine, as the L88 was a beefed-up variant of the 7.0-liter V-8 that Chevrolet introduced in 1966. Not only more powerful, it was also closer to a pure racing powerplant than any other engine Chevy had ever offered in a production car. It had lightweight heads and bigger ports, hotter camshaft, stratospheric 12.5:1 compression, an aluminum radiator, small-diameter flywheel, and a single huge Holley four-barrel carburetor. The very high compression ratio required 103-octane racing fuel, which wasn’t widely available at U.S. service stations. Output was officially rated at 430 horsepower, but word has it that the L88 was actually capable of around 560 horses at 6,400 rpm. Naturally, the L88 didn’t come cheap. With the Positraction, transistorized ignition, heavy-duty suspension, power brakes, and radio and heater delete options made mandatory with the package, the L88 added an extra $1,500 over the base $4,240 price. 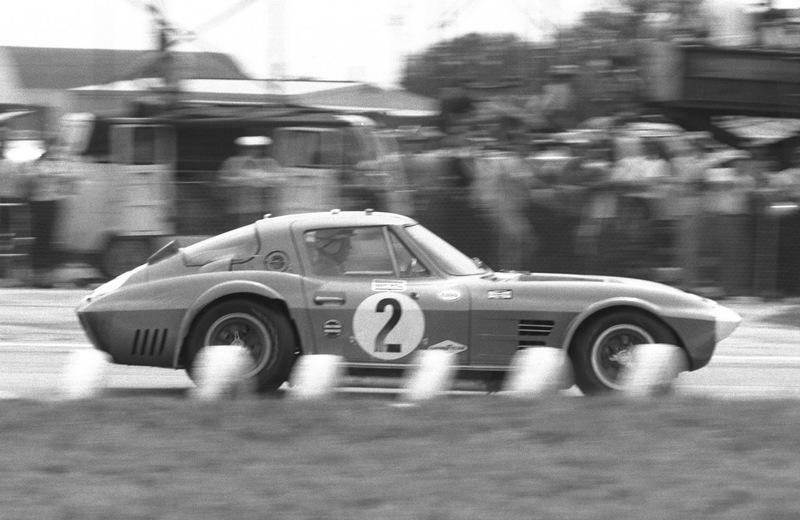 As a result, only 20 units were sold, which makes the L88 one of the rarest Corvettes ever built. The third-generation Corvette was introduced in 1968, just as the muscle cars were getting bigger and becoming more powerful. This came to a halt in the early 1970s when the oil crisis and new regulations nearly killed the high-power V-8, but the C3 had a few good years. The Corvette ZL1 is arguably the most exotic example. Now sporting a sleeker, even more aggressive design, the C3 also spawned new engines and upgrade packages. The ZL1 was offered for the 1969 model year only and added an all-aluminum, 7.0-liter big-block which was developed primarily for racing. The engine was officially rated at 430 horsepower, but testing revealed that output was actually at around 460 horsepower. The ZL1 was quick enough to run the quarter mile in 12.1 seconds. 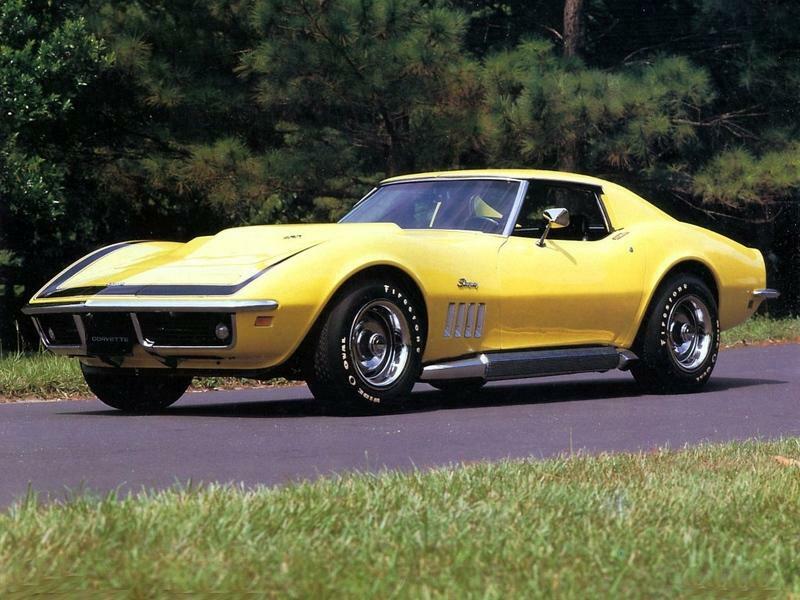 But much like the L88, it was highly expensive, adding a whopping $4,700 to the Corvette. It’s probably why only three were sold. The main reason why I’ve included the ZL1 on this list is that it was the fastest production car ever made back in 1969. The Sledgehammer had a top speed of 254.7 mph! For our next Corvette, I’m going to step away from the Chevrolet-made cars. I know it’s not exactly, but a Top 10 Corvette list without the Sledgehammer is incomplete. If you’re not familiar with Callaway Cars, it was established in 1977, and it’s been modifying engines ever since. 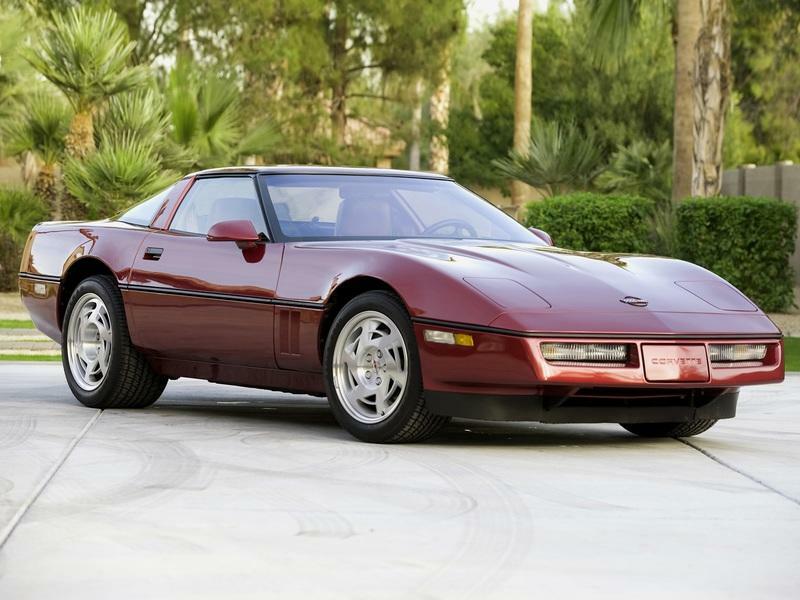 Callaway began altering Corvettes in the 1980s and became famous when its twin-turbo kit for the C4 became a dealer option. 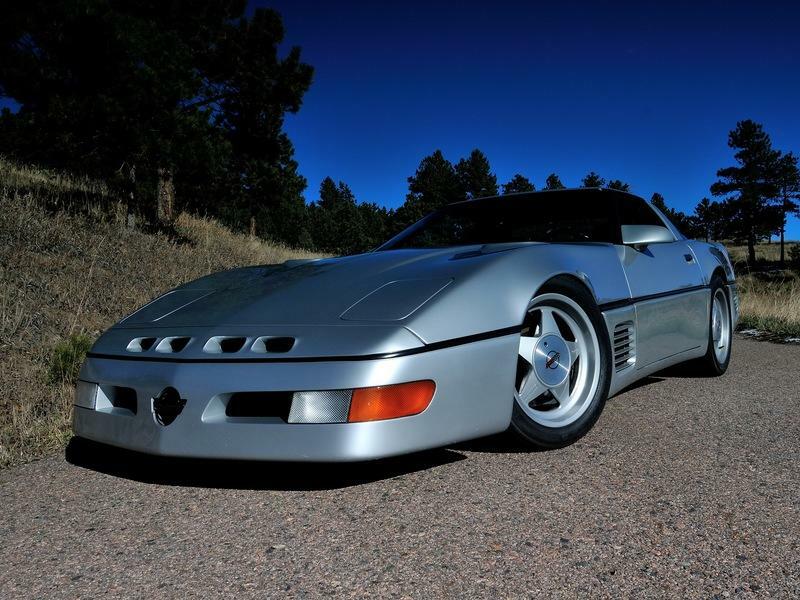 The Callaway Twin Turbo Corvette was introduced in 1987, but it took the firm one more year to produce its most radical design yet. Based on the highly criticized C4-generation Corvette, which hit the market with delays and various issues, the Sledgehammer actually helped te fourth-gen car gain some notoriety. Heavily modified on the outside, the Sledgehammer was more than just a pimped-up Corvette. The aggressive exterior was backed by a massively powerful drivetrain that sent no less than 898 horsepower and 772 pound-feet of torque to the wheels. The incredible output was achieved using a NASCAR-spec engine block with Mahle pistons and forged connecting rods, as well as a Brodix aluminum head and a pair of turbochargers from Turbonetics. The suspension was designed with help from Carroll Shelby, while the 17-inch aluminum wheels were wrapped in bespoke Goodyear tires. The sprint to 60 mph took only 3.9 seconds, while the quarter-mile run took just 10.6 clicks. These were incredible figures for the 1980s and are still impressive in 2017. But the Sledgehammer’s most impressive feat is its top. In October 1988, with John Lingenfelter behind the wheel, Callaway’s super coupe hit a record top speed of 254.7 mph. Although the benchmark wasn’t filed as a Guinness world record due to Sledgehammer being a unique car, it stood as the world’s fastest road-legal car until 2010, when Bugatti hit 267.8 mph with the Veyron Super Sport. The standard Veyron is actually almost one mph slower than the Sledgehammer. And we’re talking about a car built in 2005 with far more modern technology. And that’s why the Sledgehammer deserves a place on this list. While the Sledgehammer wasn’t available for purchase, the Callaway Twin Turbo package was, and its success prompted Chevrolet to build its very own high-performance version of the Corvette. The opportunity to do this arrived in the mid-to-late 1980s after General Motors acquired Group Lotus. The Corvette division approached the British firm with the idea of developing the world’s fastest production car based on the C4 Corvette and Lotus went on to design the iconic LT5 engine. 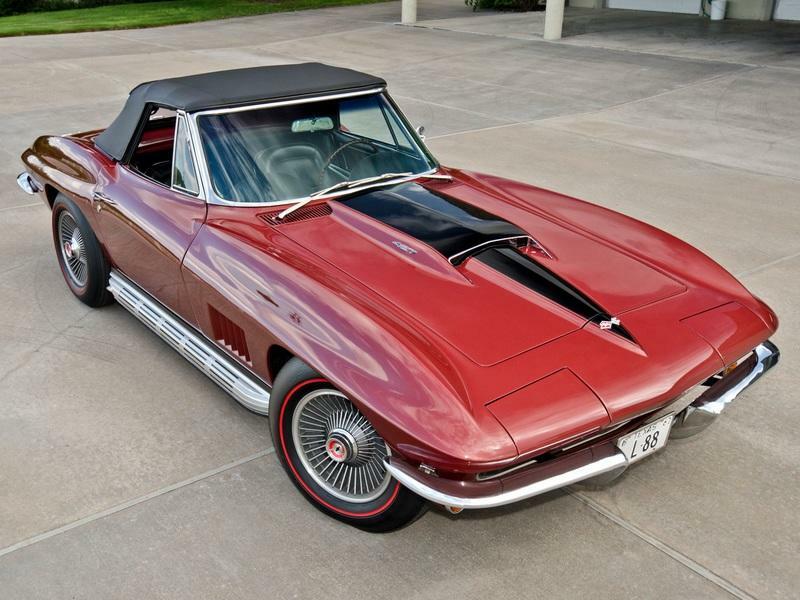 Using an aluminum block, four overhead camshafts, 32 valves, and a unique air management system, the V-8 generated 375 horsepower, 125 horses more than the standard Vette at the time. In addition to the engine, Lotus also helped design the ZR-1’s braking and steering systems. The 5.7-liter V-8 engine was upgraded to 405 horsepower and 385 pound-feet of torque when the C4 Corvette was updated in 1993. When it first hit the market, the ZR-1 needed only 4.4 seconds to hit 60 mph, while its top speed was estimated at more than 180 mph. The coupe actually set a number of world records, including the 12 Hours Endurance at 175.5 mph, the 24 Hours Endurance at 175.8 mph, and running for 5,000 miles at 279.6 mph. The C4 ZR-1 was the first vehicle to wear the badge since 1971, but as we’ll see below, it wasn’t the last. Although it dates back to 1963, when it was created as a performance package that circumvented an SCCA racing ban, the Z06 badge was shortlived until the 2000s. Launched as a spiritual successor to the C4 ZR-1, the C5 Z06 had a similar approach. 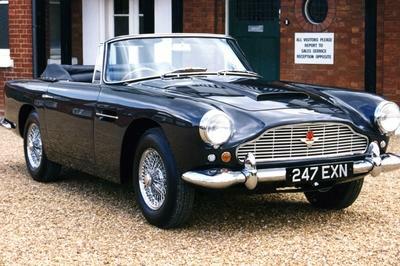 The exterior was closely related to the standard model, but the drivetrain was different. The new LS6 engine was a higher output, tuned version of the regular LS1 and initially developed 385 horsepower. This was less than the ZR-1, but the Z06 was much lighter, which gave it a superior power-to-weight ratio. It was also significantly more affordable, which helped it become a more mainstream proposition. The 2002 update increased power to 405 horsepower, which resulted in a 0-to-60 mph sprint of 3.9 seconds and a quarter-mile run of 12.4 clicks. A carbon-fiber hood introduced with the Commemorative Edition made the Z06 even lighter. Production ended in 2004 as Chevrolet began working on the C6-generation car. While the following Z06 models were faster and more powerful, I went with the C5 model because this was the car that reintroduced the Z06 badge and turned the Corvette into a modern, track-oriented vehicle. Although the Z06 was first introduced as a spiritual successor to the ZR-1, the two nameplates eventually became regular versions of the Corvette beginning with the C6-generation model. 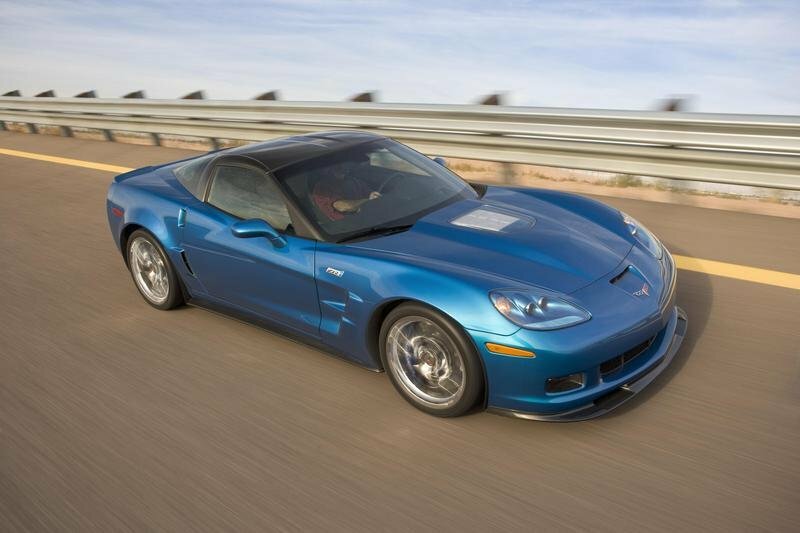 While the Z06 returned in 2006 and was built until 2013, the ZR1 made a comeback in 2009, after a 19-year hiatus. 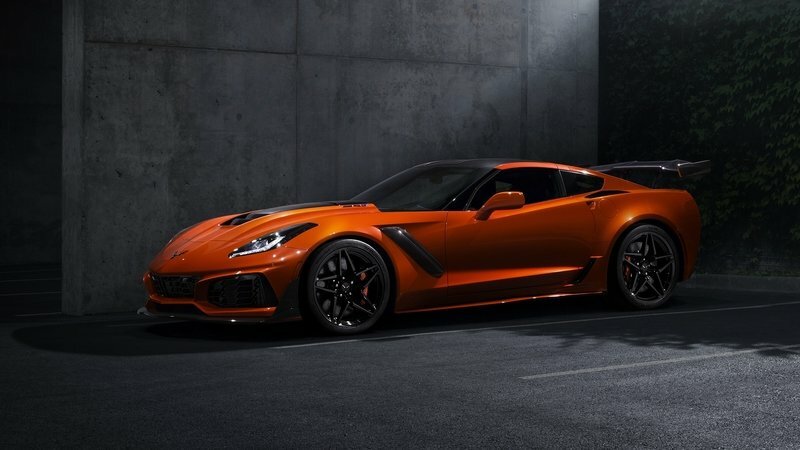 While the Z06 had a 7.0-liter LS7 under the hood, the C6-gen ZR1 was unveiled with a supercharged, 6.2-liter LS9 V-8. The mill produced 638 horsepower, 133 more than the Z06, and at the time of its launch, it was the most powerful Corvette ever made at the factory. 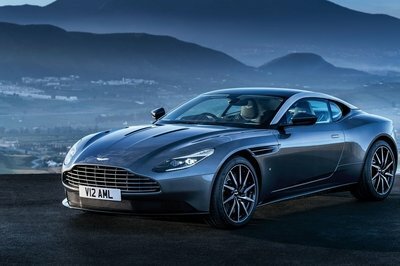 It was also the quickest, needing only 3.4 seconds to hit 60 mph from a standing start. 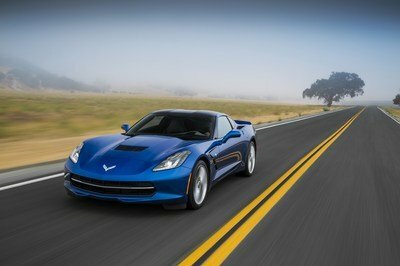 Its top speed was rated at 205 mph, another record for a Corvette. 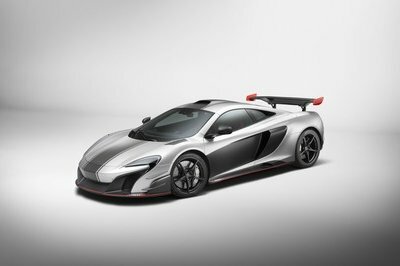 It also made extensive use of carbon-fiber, having the roof, engine hood, fenders, front splitter, and rocker moldings made from the lightweight material. It was also equipped with the larger wheels ever used on a production Corvette, carbon-ceramic brakes, and Magnetic Selectiv Ride Control with sensors to automatically adjust stiffness levels based on road conditions and vehicle movement. A supercar in its own right! Finally, we’re moving on to the latest Corvette ZR1, unveiled in October 2017. Although it’s the last vehicle on my list, it’s the most extreme Corvette ever built. A significant upgrade in terms of exterior design compared to the current Z06, the ZR1 sports the most comprehensive aerodynamic package Chevy has ever created for a road car. On top of the redesigned front bumper and the massive bulge on the engine hood, the ZR1 comes with two distinct rear wings. There’s a standard low wing that delivers up to 70-percent more downforce and the highest top speed and a motorsport-spec high wing that provides maximum downforce for the quickest lap times. That’s a first for any Corvette. Under the hood, lurks the most powerful engine Chevy has built to date. Dubbed LT5, the 6.2-liter V-8 uses a massive supercharger to generate a whopping 755 horsepower and 715 pound-feet of torque. It sprints from 0 to 60 mph in less than three seconds and tops out at more than 210 mph, yet another record for the Corvette. The new ZR1 is also the first vehicle of its kind to use an automatic transmission thanks to the eight-speed option offered alongside the standard seven-speed manual. This concludes my list of the greatest Corvettes ever built. A list I probably won’t alter until Chevy introduces the much-rumored mid-engined Vette. I’m well aware that this list is very subjective and that many other iconic Corvettes weren’t mentioned, so feel free to add your own in the comments section.